Roo: We're always there for you. Roo: You're a little on the smallish side of tiny and kinda lacking in perpendicular. Tigger: Maybe this belonged to my uncle! Roo: What is this doo-hickey? Tigger: Why, that's no doo-hickey. It's a thing-a-ma-bob. 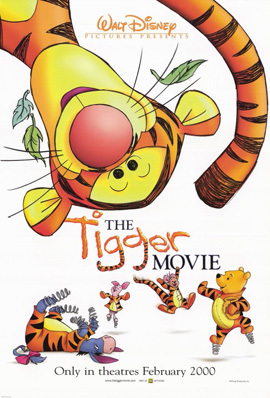 Tigger: You can't bounce the bounce if you can't even pronounce the bounce.